Previously, I have covered the concept of “hybrid radio” which is being put forward by RadioDNS. This is about integrating the reception of audio-based radio content from a radio station either through the traditional analogue or digital broadcast technologies or through the Internet. It is based on the common Internet-radio application where traditional radio stations transmit a simulcast of their broadcast output as an Internet stream. You would experience this with an app like TuneIn Radio or by using an Internet radio, of which I have reviewed many. 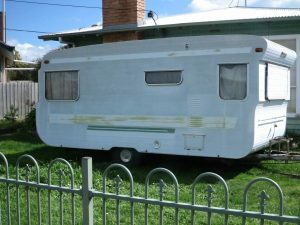 This has been used to listen to overseas radio stations by those of us who like the “vibe” of a particular country or to learn a new language, but has been used as a way to hear a national radio station that isn’t received in one’s local area, a situation that is common in rural Australia. It is intended to provide automatic switching to an Internet-based simulcast of the radio station if you are out of the reception area for a broadcast transmitter and you can’t be “handed over” to a better transmitter’s output of the same station. It is also underscored by the concept of a “single-dial” tuning approach to select stations without worrying which broadcast methodology they are using, whether traditional or Internet-based. here is also the availability of richer metadata that can be shown on screens that support rich graphic displays along with an electronic programme guide for radio broadcasts. This functionality is dependent on the radio having Internet connectivity of some sort. It is typically with the set being equipped with Wi-Fi or Ethernet connectivity for use on a small network, or a car radio being equipped with a mobile-broadband modem provisioned with mobile-broadband service. This may not work properly with enterprise or public-access networks that require authentication beyond a Wi-Fi passphrase or WPS-PBC setup or we have to make sure the mobile-broadband service is provisioned for the car radio that we are using in the way the radio expects. This was something I had come across when someone posted a question about attempting to use the Internet capabilities of the Sony CMT-MX750Ni Internet-capable bookshelf music stereo system with a “headline” public-access Wi-Fi network in the place they were living in. As well, the Internet connectivity is offered by consumer-electronics manufacturers as a product differentiator with it typically ending up on the premium products in the range. Similarly, some manufacturers want to steer clear of Internet-connectivity as a feature for their consumer-electronics product ranges. 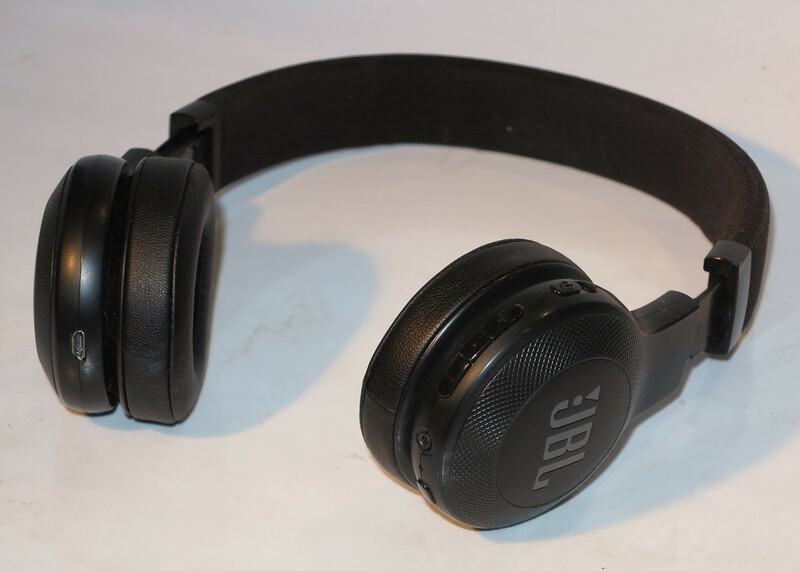 But an increasing number of radio sets and audio equipment are implementing Bluetooth technology typically to allow streaming of audio content from mobile devices paired with the set. 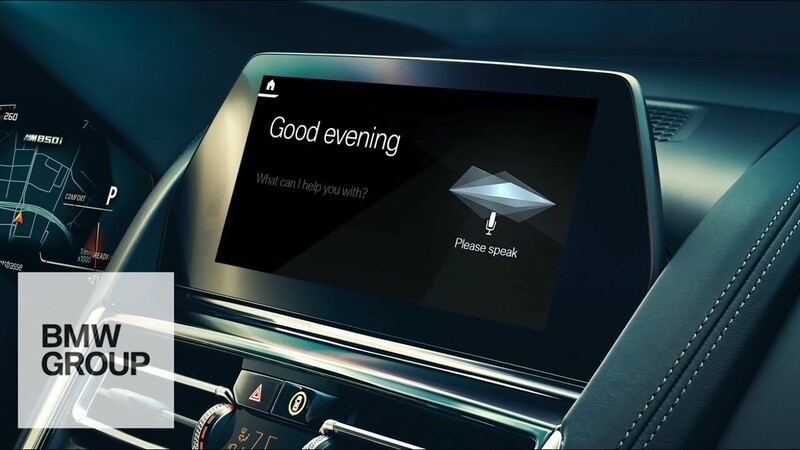 In the car-audio scene, this is to facilitate a safe hands-free telephone setup that allows the driver to keep their hands on the wheel and eyes on the road. The RadioDNS hybrid-radio concept could be extended to the Bluetooth link by a standard application-level class or profile for the Bluetooth specification. Here, this would work in conjunction with a computing device that runs companion “hybrid-radio” software and is linked to the radio via Bluetooth in order to enable full “hybrid-radio” functionality. This could allow for broadcast station selection using the companion device or the display of rich metadata for the currently-listened-to station on the companion device’s display irrespective of the source of the metadata. This would be of benefit to those sets that can’t show rich graphic metadata such as what DAB+ or Digital Radio Mondiale are capable of. The concept cam make use of the voice-driven home assistants like Amazon Echo or Google Home for many options. Here, it would exploit the idea of having a device like Amazon Echo or Google Home provide the Bluetooth – Internet bridge to your small Wi-Fi network and play network-hosted or Internet-hosted audio content through the radio’s speaker. It would be important where the radio’s amplifier and speaker does a better job at reproducing music compared to what the Amazon Echo or Google Home device. For example, you could ask Alexa or Google Assistant to select a station and the local broadcast signal will then play. 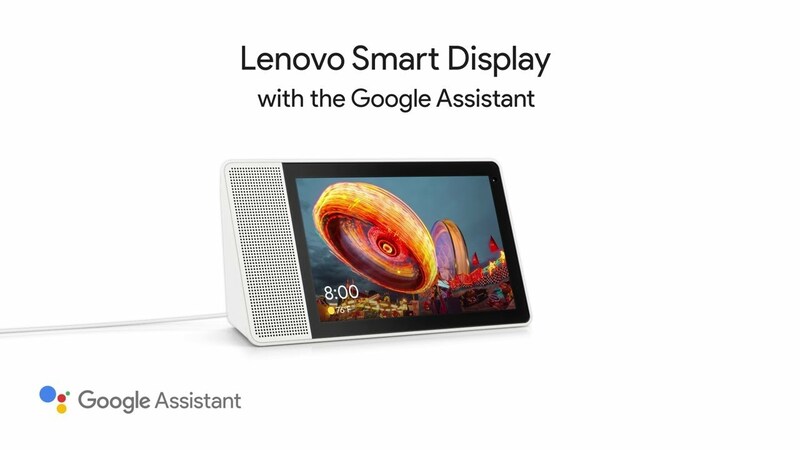 Or if you use something like Google Home Hub, you could have the station’s audio coming through the radio while a graphically-rich interface for that station appears on the Home Hub’s screen. What RadioDNS needs to look towards is the idea of using Bluetooth or similar peripheral-level connections as a way of allowing a companion computing device to facilitate hybrid radio functionality for equipment or use environments that don’t support integrated Internet connectivity. USB-C PD battery packs–are they worth it for your laptop? The USB-C connection and USB Power Delivery specification bas brought forward the idea of using a USB external battery pack a.k.a a USB powerbank for charging your laptop computer. This is in addition to using these battery packs for charging your smartphones or tablets. For example, you could be using these battery packs to “stretch out” your laptop’s run-time while you are away from power, something you may be doing while playing a Civilization game on one of the new many-hour long-haul flights for example. Or you could simply charge up a laptop that has a battery that is depleted. It may also be of use where a battery inside the computer is nearing its end-of-life and is not likely to hold enough charge to permit use away from power. Here, you have to look towards a USB-C PD-compliant battery pack which can put up at least 30 watts. For air travel, the battery pack would have to have the ideal battery capacity of 2600mAh because of air-transport limitations on lithium-ion batteries larger than 2700mAh for this class. 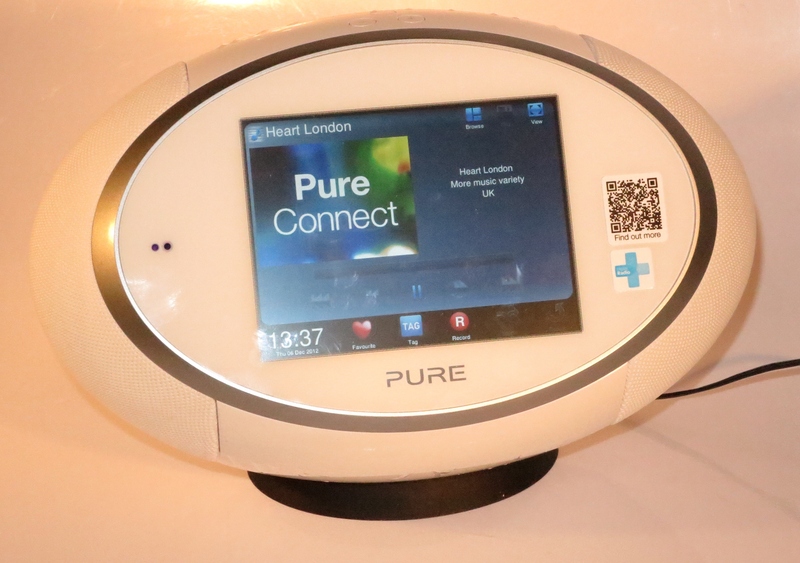 Features worth looking for include some USB-A connections for mobile phones and tablets along with another USB-C Power-Delivery-compliant connection. Having the two USB-C connections can allow you to charge the battery pack up while you are charging your laptop or running it from AC power – no need to carry extra chargers and travel adaptors with you. This is mostly relevant to 13” laptops, 2-in-1s and similar devices. You may be able to get some more run-time out of larger-screen devices and other USB-C Power-Delivery devices if you don’t really expect to fully top up the battery in your computer. The Dell XPS 13 in its clamshell and 2-in-1 forms as reviewed and covered extensively on this site can be charged from these battery packs. 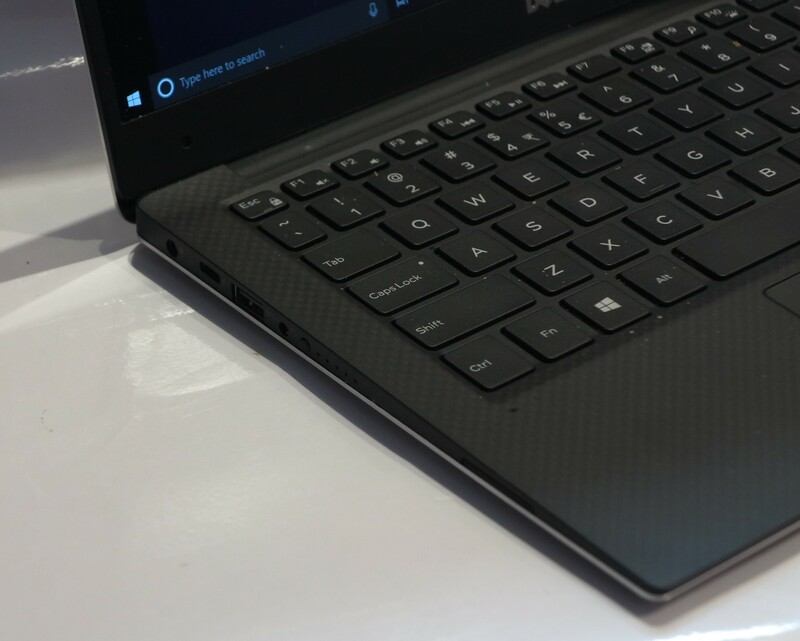 The Lenovo ThinkPad X1 Carbon or Yoga variants can do this job as can the HP Spectre X2 detachable and the ASUS Zenbook 3. For gaming-grade performance, you can power the Razer Blade from one of these USB-C battery packs. Mac users can rejoice with all of the USB-C-equipped Apple MacBook family able to he charged or powered from these external battery packs. Chrome OS users also can know that the Google Pixelbook and the Asus Chromebook Flip C302 can work from these same power sources. The Wikipedia article will list more laptops that can work from a USB-C Power Delivery battery pack and there is a strong likelihood that newer iterations of the abovementioned computers will run from USB-C Power Delivery in this manner. You may be able to work around the battery-power limit regarding these batteries if you take two or more USB-C PD battery packs that is within the limits but it is best to confirm these limits with your national government’s air-safety Website. Laptop screen protectors and privacy screens–are they worth their salt? An accessory that you could get for your own laptop computer or give to someone who owns one is a screen protector or privacy screen. These accessories are considered very affordable and you would be safe to give one as a gift for any occasion. 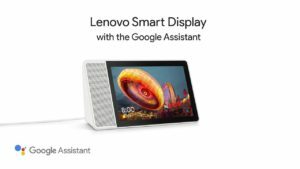 It is not hard to come by these accessories, typically found in accessory departments of computer, consumer-electronics, office-supply or similar stores or available online through the likes of Amazon. The screen protectors, typically made of plastic or tempered glass, protect the screen from scratches or dust. 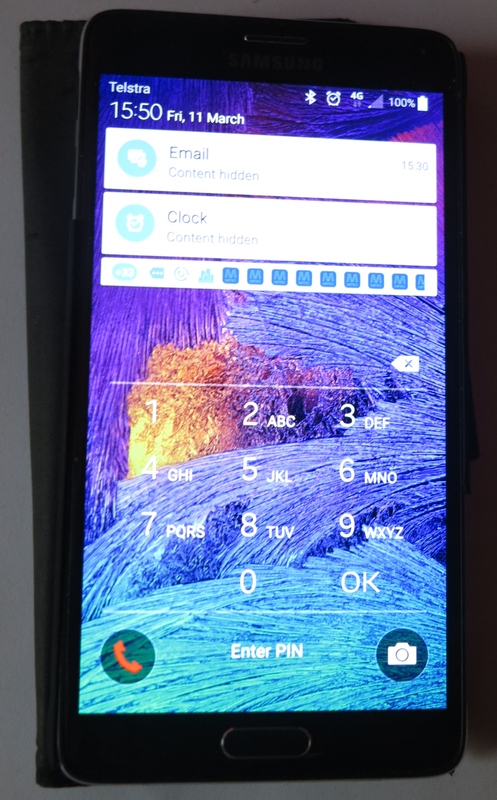 The plastic option is an economy option but it itself can be scratched and is not always likely to cover the whole of your screen as well as itself becoming a “dust magnet”. The glass option costs extra but is more damage resistant and will cover your screen fully. That is more important especially for tablets and 2-in-1s due to you interacting with the screen more frequently. Privacy screens are a screen protector that uses a fresnel-lens approach thanks to polarisation to limit the viewing angle to directly in front of the screen. This is to prevent others who are sitting beside you from viewing what’s on your screen, but if a person is directly behind you, they can see what you are doing. It is good if you are using your computer to work on confidential material in a high-traffic area regularly like making use of that “second office” cafe or bar, or using it to do your work on public transport or while flying. You may expect to have reduced sensitivity from touchscreens or active-pen setups due to the extra material but this may be a slight effect. In some cases, a screen protector that has a textured surface may provide a better inking surface than using a glossy screen alone or a smooth-surfaced protector. This is more so if it has a paper-style texture. When choosing a screen protector or privacy screen, pay attention to ease of installation and removal. This is important if you find that it doesn’t fit your computer properly or suit your needs or the screen becomes too dull as you use it. In some cases, you may find that particular screen protectors may fit a particular model of laptop rather than working for a particular generic screen size. Something else you may may have to pay attention to is whether the screen protector does impact your computer’s screen brightness for comfortable use over its lifespan. This is more so if you have to increase the screen brightness which can have an impact on battery runtime. Let’s not forget how the automatic brightness functionality on some screens may be affected by the use of the screen protector and you may have to raise the brightness slightly. Considering these points can allow you to choose the best value screen protector or privacy screen for your laptop or tablet so you can gain long-term use out of these accessories. Dell has been improving their value-for-money portable computer product line and premiering some of these new products in Las Vegas at the Consumer Electronics Show 2019. Here I am calling out a few distinct improvements across the different product lines as supplied through their press material. Some options that have been cropping up include a 1Tb solid-state disk in most product lines, NVIDIA RTX ray-tracing video chipsets in gamimg models and OLED displays in premium 15” models. But there are some computers out there that have some interesting features like a small built-in Webcam or “walk-up and sign-in” operation. Dell have been incrementally improving on the XPS 13 Ultrabook by releasing the latest iteration known as the 9380 model. But this iteration isn’t just based around its silicon although it implements Intel 8th-Generation Whiskey Lake technology. One of the main useability improvements is for the Webcam to be located in its proper position above the screen rather than below the screen as with some previous generations. This avoids videocall situations where your correspondent is looking at the ceiling or your nose when you use the Webcam located at the bottom of the screen. The problem was brought about due to Dell’s InfinityEdge “thin-bezel” approach which didn’t allow for room for a standard Webcam circuit. But it had been solved through the use of a 2.5mm Webcam circuit that allowed for a thin top bezel for the screen. It also implements a variable-torque hinge to make it easy to open and close, something that may please older users with hands that may not be all that great thanks to arthritis for example. Another feature that Dell is pushing is to have a fingerprint reader integrated in the power button on the computer. The latest iteration of the Dell XPS 13 underscores the USB-C connectivity form by having three connections of this kind – two Thunderbolt 2 connections and a USB-C-only connection. This is alongside an audio jack which hasn’t been forgotten about as well as a microSD card reader. 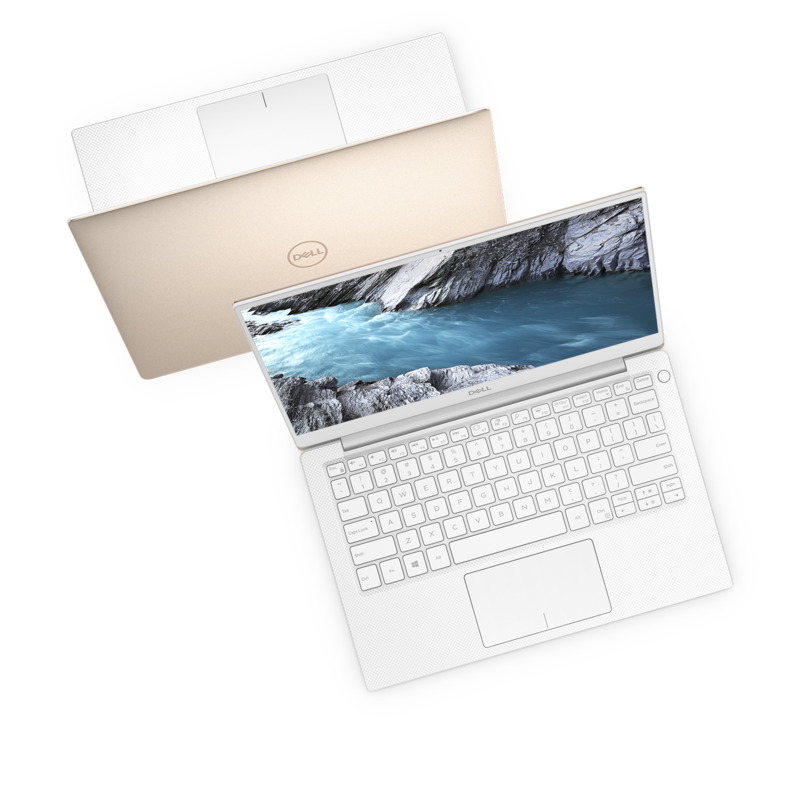 The Dell XPS 13 is available with 8th-generation Intel “Whiskey Lake” Core CPUs (i3, i5 or i7) and Intel UHD 620 integrated graphics. It will have up to 16Gb RAM and 2Tb SSD as non-volatile storage. There will be three display options – a Full HD non-touch screen, a Full-HD touch screen or a 4K UHD touch screen. There is an expected 21-hour battery runtime for an XPS 13 equipped with a Full-HD display which will allow continuous use on one of the new non-stop longhaul flights facilitated by the Boeing 787-9 Dreamliner. What is being underscored here is the idea of keeping the Dell XPS 13 as the value-for-money Ultrabook that “ticks the boxes” as far as “thin-and-light” clamshell-style portable computers go. Here, it is through implementing the latest technology and answering problems that the user base and computer press have raised about this model. The CES 2019 exhibition became the time for NVIDIA to premiere their RTX family of ray-tracing-capable graphics processors. Dell was one of the first computer manufacturers to offer a gaming-grade computer as part of their main brand with this silicon as a configuration option. Here, the G-Series gaming laptop range has effectively been refreshed with new Intel CPUs and the NVIDIA RTX graphics chipsets. The G-series laptops are different from the Alienware gaming brand where they are positioned with a similar approach to the “GT” or “Sport” variants of popular mainstream passenger cars which have the higher-performance powertrains. But in some ways, these computers can be seen as an entry-level workstation for photo and video hobbyists or students starting on high-end graphics-focused computing like with architecture or statistics. These systems will be known as the G5 15 with the 15” screen and Core i7 horsepower, the G7 15 with the Core i9 horsepower and 15” screen, and the G5 17 with the same horsepower as the G5 15 but with a 17” screen. The system RAM can be specced up to 16Gb. This is while the storage options can be specced in the form of a single-device option with a 1Tb 5400rpm hard disk or a dual-device option with up to 1Tb M2 solid-state disk ganged with a choice of 500Gb 7200rpm, 1Tb 5400rpm or 2Tb 5400rpm hard disks. The economy option for the display subsystem is an NVIDIA GTX 1050Ti GPU but the computer will have the Ethernet port and a USB-C port as its system-specific connections. All of the new G-Series computer can be configured with any of the RTX GPUs which will also have 8Gb of display RAM. They will have the USB-C, Thunderbolt 3 and mini DisplayPort connections as their configuration-specific options. The common connection options would be 3 USB 3.1 Type-A ports, an SD card reader, an audio jack as well as those extra configuration-specific ports. The 15” models can have a Full HD IPS screen 220nits brightness and 60Hz refresh rate, a similar screen with similar resolution and refresh rate but 300nits brightness, another similar screen with a similar resolution and brightness but a game-friendly 144Hz refresh rate. 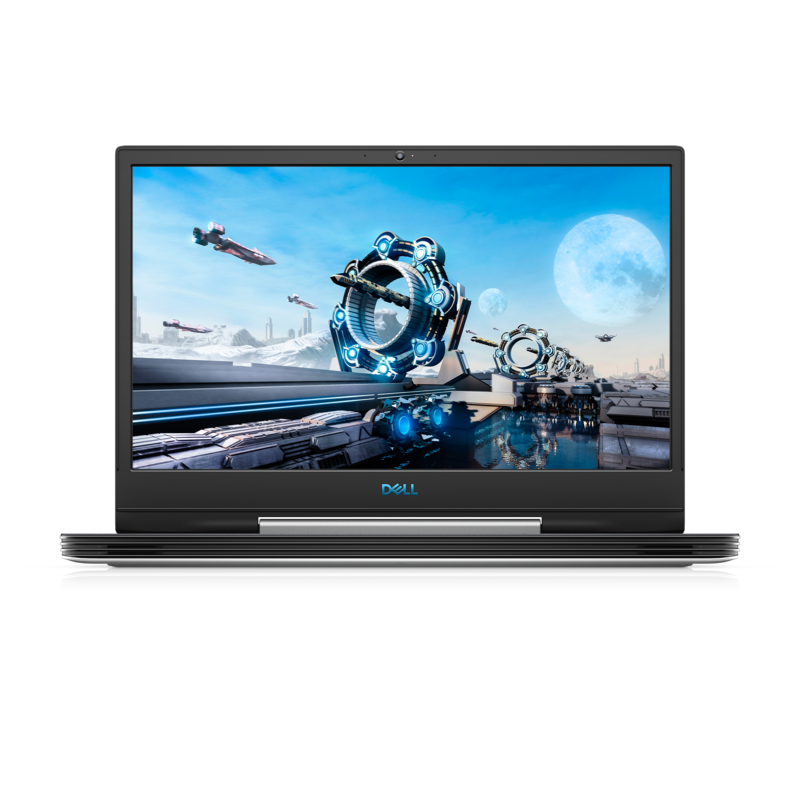 There is the full-on option of equipping your 15” Dell G-Series with an 4K UHD OLED screen at a 400nits brightness and 60Hz refresh rate, something that would appeal to photo and video enthusiasts. The 17” model has fewer screen options in the form of a full HD IPS screen with 300nits brightness but a choice of 60Hz or 144Hz refresh rates. This is a rare sight for the Consumer Electronics Show where a computer manufacturer is premiering a business-grade computer at a consumer-focused technology fair. But small-business owners may find this of value if they buy their technology through an independent computer store or value-added reseller. 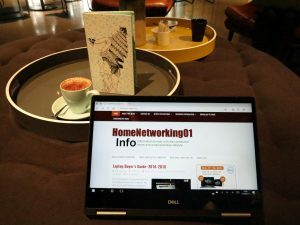 Here, Dell are premiering the Latitude 7400 14” business 2-in-1 which has features that make it stand out from other business computers in its class. Here, this computer which has a Titan Grey finish is the smallest business-grade 14” 2-in-1 convertible laptop on the market. It also has the ExpressSignIn feature that detects user presence near the machine. When the user comes near, it will wake up and activate the Windows Hello facial-recognition routine to verify that the user is authorised to operate the machine. Then, when the user walks away, the Dell Latitude 7400 will lock the user session. It has 2 Thunderbolt 3 connections as standard and, as specifiable options, Gigabit LTE mobile broadband, 1Tb solid-state drive, Wi-Fi 6 and Bluetooth 5 connectivity. The 1Tb solid-state drive’s capacity will please those of us who effectively “live out of their briefcase” but want the high performance. As is expected for a premium business laptop, this will have the security and manageability features that would please a corporate IT team or a value-added reseller offering “big-time” IT support to small businesses. The Dell Inspiron 7000 Series 2-in-1 convertible laptops have undergone some significant revision in their design. Rather than having an ordinary hinge, these computers have a new hinge design with a place to park the supplied active pen. This means that the pen is presented to the user without it falling out no matter whether the computer is folded over as a tablet, in a partially-folded “tent” or “media-viewer” state or a traditional laptop. It also makes sure that the hinge part looks special, as well as being part of an improved cooling and ventilation approach that understands lifestyle computing needs like bingeing on Netflix in bed or “flipping through” YouTube videos on the couch. The improved cooling and ventilation approach is also augmented through adaptive thermal-management technology which varies the Inspiron 7000’s performance depending on whether you are moving it around or keeping it still on your desk. This avoids you handling a portable computer that is running uncomfortably hot. 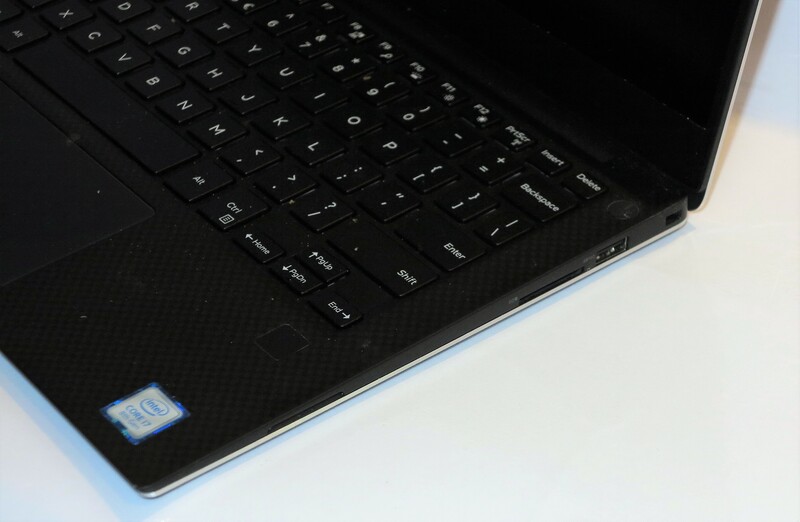 The integrated power switch / fingerprint reader design has opened up a design feasibility for the 15” variant of the Dell Inspiron 7000 Series. Here, it means that the computer can be equipped with a numeric keypad which is a rarity amongst 15” 2-in-1 computers. Still there is the limitation with this series where the USB-C port on these computers is the standard USB-C port rather than a Thunderbolt 3 port. 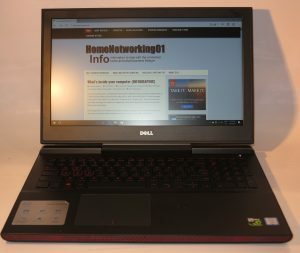 If the Inspiron 7000 Series came with the Thunderbolt 3 port, it could then mean that these computers could be teamed with an external graphics module for at-home gaming. Dell is keeping up its name as a value-for-money computer name but is assuring users that they are creating innovative designs rather than copying established ones. Are we to expect laptops to be mobile phones? An increasing trend we are seeing with regular desktop and laptop computers is that they are being used for voice and video telephony. Thu is being driven by messaging apps of the Skype, Facebook Messenger, WhatsApp and Viber kind being ported to desktop operating systems; along with softphone applications that provide telephony functionality being made available for these operating systems. The softphone applications, along with Skype are even legitimising this usage case with laptops in the business environment turning them in to secondary or replacement phone extensions. 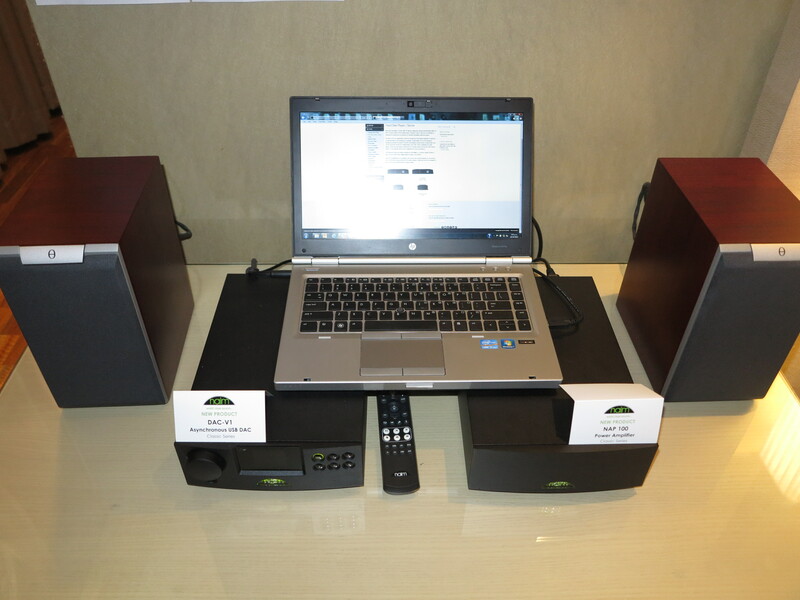 With these setups, you can talk with the caller using the computer’s integrated or attached microphone and speakers. Or, should you want the same level of privacy associated with holding a handset up to your ear, you can talk to the caller using a wired or Bluetooth headset, of which I have reviewed many on HomeNetworking01.info. 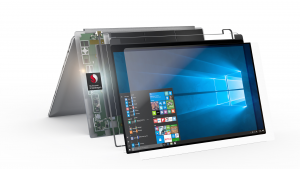 Microsoft and others in the “open-frame” computing world are pushing along with the Always Connected PC which runs ARM RISC microarchitecture rather than the traditional Intel-based CISC kind. These ultraportable computers will also be equipped with a wireless broadband modem that is authenticated using eSIM technology. The idea is to eventually have these computers become like a smartphone with them linked to the cellular mobile network. It is also alongside the fact that today’s smartphones are effectively pocket computers running a mobile operating system. It could be easy to say that the Always Connected PC concept is irrelevant because one can “tether” a computer to a smartphone to have access to the mobile broadband service, whether through a USB connection or a Wi-Fi-based “hotspot” function that mobile operating systems support. Or we can simply connect our computers and phones to Wi-Fi networks including publicly-accessible networks like hotspots. For that matter, computers can also be connected to other network types like Ethernet or HomePlug AV networks. Let’s not forget that the GSM Association and the Wi-Fi Alliance are looking at Wi-Fi networks as a way of providing data-offload functionality. This is through mobile carriers like BT and Telstra offering FON-style community Wi-Fi networks and the Wi-Fi Alliance using Passpoint / Hotspot 2.0 as a way to provide hands-off login to public-access networks. The Wi-Fi functionality is also being taken further in the context of smartphone-based voice telephony with the use of VoWLAN as another call-transport option for these devices. Some mobile telcos like Telstra even use this as a way to provide voice telephony continuity to their customers if they can’t reach the cellular network but can use Wi-Fi-based Internet. 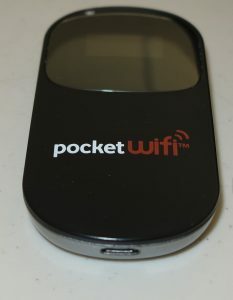 The focus now is towards the concept of always-connected portable computing with a secure and consistent connectivity experience. This is being brought on through the use of 5G mobile-broadband technology and the interest in edge computing which provides support for localised data processing and storage in a cloud environment. The eSIM is being pitched as a way to provision mobile service in an online manner, especially to vary the service to suit one’s needs or switch to a competing mobile telco. It also is placing pressure upon mobile telcos to adopt a “service-focused” approach with the idea of having multiple devices on the same mobile account and plan, ringing to the same mobile number and using the same data allowance. The goal with mobile telephony will then be to make or take a voice or video call or send and receive messages on the device that you currently are using rather than changing to a different device for that task. Connected cars even to be another logical device for one’s mobile service account. This concept has been driven by the Apple Watch and will be pushed on with smartwatches that have built-in mobile broadband modems. 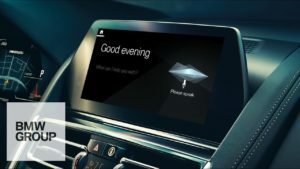 But it will be extended through other devices like smartphones, Always Connected PCs and connected vehicles. There is also the idea of implement the equivalent of a local area network across devices tied to the same service and this will be driven by the trend towards ubiquitous ambient computing. A question that will come about is the ability to maintain multiple different services on the same physical device whether from the same telco or different telcos. This will be about maintaining separate services for business and private use. Or it could be about travellers who want to maintain a local service while at their destination along with their “home” service. This is a feature that is of relevance in countries where cross-border commuting is the norm thanks to land borders or short affordable ferry rides. This could be addressed through support for multiple services including the ability to provision a cluster of multiple devices with the one service simultaneously. This same issue can also address the ability for us to use the conventional Internet service based around a hardwired broadband service with a Wi-Fi and / or Ethernet local network in the premises. What I see out of this new trend is that if your computing device has mobile broadband or connection to the Internet via a local-area network, along with a speaker and microphone, it will become the one-stop computing and communications device. It doesn’t matter what shape or size it is in, being a smartphone, laptop or whatever. As well, the right-sized computing device will serve your computing and communications needs as you see fit. I have been following the Dell XPS 13 series of clamshell Ultrabooks which are an effort Dell have been undertaking to get the right mix of performance, build quality and functionality in an affordable package. It was also about not losing sight of this goal while evolving the model towards newer technologies and specifications. Now I have the chance to review the latest iteration of this series known as the “9360” series and equipped with the 8th Generation silicon in the higher-specified packages. This computer represents the latest in the Dell XPS 13 clamshell Ultrabook dynasty and has a technical refresh with the new Intel 8th Generation silicon. 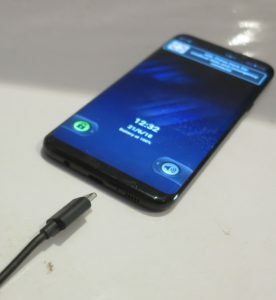 There is the “9370” series which is more expensive and implements more of the USB-C connectivity in lieu of the USB-A connections and exclusively uses Intel 8th Generation silicon. Dell has been maintaining the key features that make the XPS 13 series earn its keep as a value-for-money all-round Ultrabook rather than adding too many “bells and whistles”. As I referred to in a previous article on the XPS 13, I was describing this effort as “ticking all the boxes” for what the market expected. The Dell XPS 13 didn’t come across as being flimsy or weak in any way. Rather it maintained the similar build quality and aesthetics of a good-quality clamshell Ultrabook. There was a situation that I noticed where the computer was slightly warmer underneath during a software update but it wasn’t uncomfortable to use when you are using it on your lap. Luckily the heat buildup occured in the centre of the laptop’s base but was dispersed thanks to the metal housing. It will be a situation to expect with most of the ultraportable computers due to their small size. The backlit keyboard is accurate for touch-typing and the backlighting is not too dominant when used in daylight or average room light. The backlighting also does properly turn off when you aren’t using the keyboard. The precision multi-touch trackpad works properly with all of the advanced multi-finger gestures as well as single-finger mousing around. It doesn’t act too hair-trigger and select things it shouldn’t when you are typing even if you use the XPS 13 Ultrabook on your lap. The integrated fingerprint reader works tightly with Windows Hello and is accurate most of the time. Having very dry fingers after, perhaps, outdoor work may cause it not to be accurate and you may have to log in with your Windows PIN. As well, during the initial setup phase, make sure that the fingerprint reader catches your fingerprint at different angles. The Intel integrated video chipset works smoothly with streamed content after I had viewed an overseas video through this laptop. But personally, I would see this chipset serve most ordinary computing tasks effectively. I am also pleased about Dell having the XPS 13 Ultrabook equipped with the necessary Thunderbolt 3 port for those of us who want to have that bit of extra video performance provided by an external graphics module. The Waves MaxxAudio still is about trying to improve the integrated speakers’ sound. But it is still the same issue with ultraportable notebook computers that you have to use headphones, external speakers or a sound system to achieve better sound from these computers. 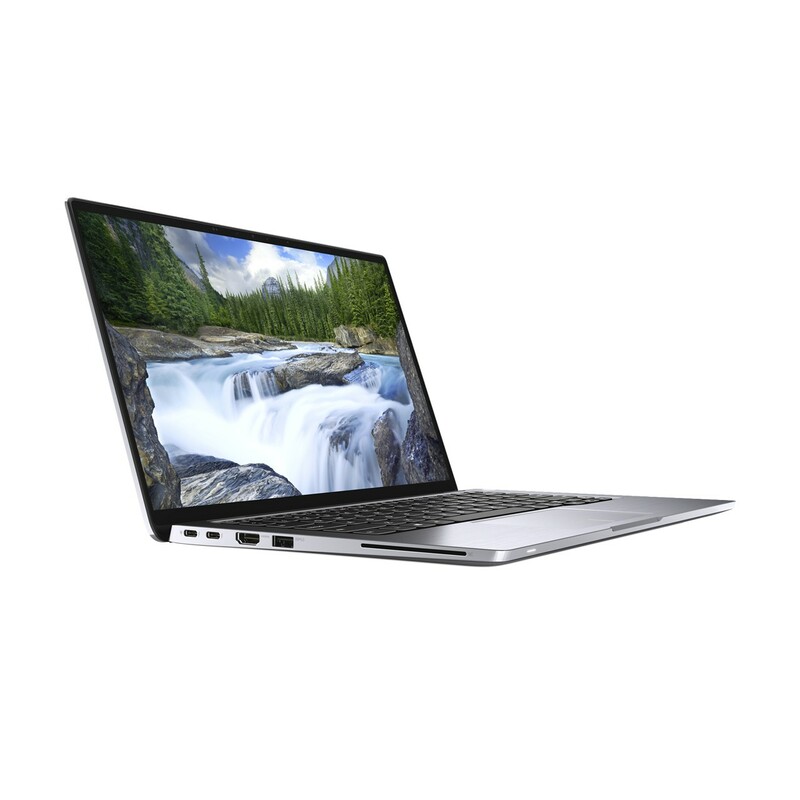 The 256Gb solid-state drive is the only integrated secondary-storage option available across the Dell XPS 13 series. This would offer the right amount of storage for most needs but you may have to use a USB hard disk if you are wanting to offload photos and the like to keep essential data on the SSD. Speaking of which, there is an integrated standard SD-card reader which is useful for those of us who use digital cameras for our photography. As I have experienced, you don’t need to deal with USB-based SD card readers if you deal with photos from your camera. If you are dealing with newer networking equipment, the Wi-Fi networking infrastructure performs very adequately and maintains the expected throughput. The Bluetooth functionality works very well even for streaming audio to a headset. Dell has maintained the Thunderbolt 3 / USB-C port on the XPS 13 Ultrabook to assure users of a path towards higher-performance graphics. This could allow a user to purchase an external graphics module for better graphics performance “at home” or “at work”, while it provides USB Power Delivery connectivity as an alternative power input if you use an expansion module with power-supply abilities to that standard. 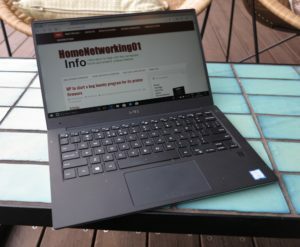 The reviewed configuration of the Dell XPS 13 Ultrabook is within the expectations for a portable computer to have a long battery live and I was able to do regular computing and Internet tasks for most of the day without finding that it is going to die out quickly. I was able to stream a video for 90 minutes with the sound coming via a Bluetooth headset and found that the Dell XPS 13 Ultrabook had 87% battery capacity at the end of the video. This was assuring proper glitch-free throughput and smooth playback. One of the factors that I see with achieving the ideal battery life is the review configuration being kitted out with an integrated screen that sticks with the ideal 1920×1080 screen resolution which I would find as being fine for most users. I have used the Dell XPS 13 Ultrabook in front of other people and they have seen it as a highly portable highly viable computer to use “on the road”. Infact I was showing it in front of a man who was considering what to purchase for a “travel” laptop and he saw this as a good example of what he wanted to use. This is for soneone who maintains a desktop computer with the large screen as their main home computer. 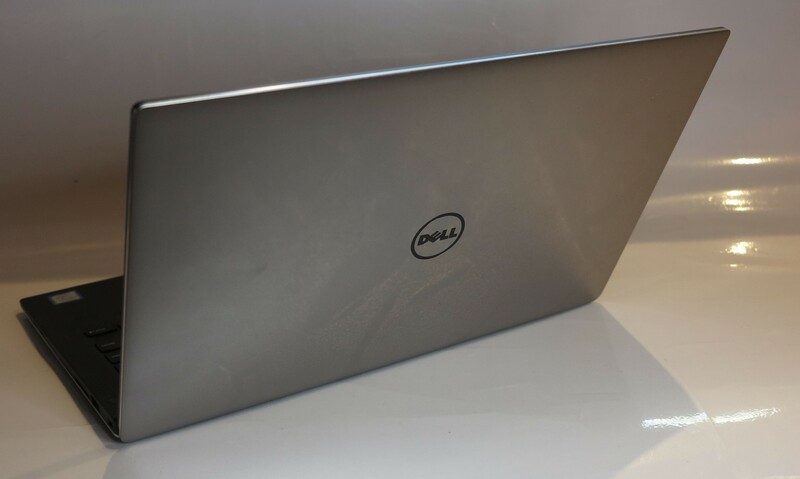 Dell would need to avoiding losing the vision of what the XPS 13 Ultrabook is about – a robust capable ultraportable computer that offers what most users want for the right price. It is similar to what Toyota have been doing with their Hiace vans and Hilux pickup trucks – improving on these vehicles without losing sight of the reputation they have earnt over the generations. 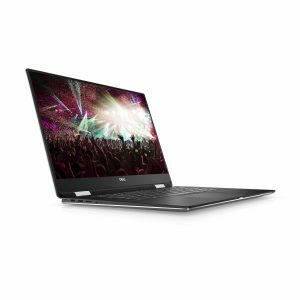 A question that will come across to Dell is whether to maintain a large range of XPS 13 configurations for all markets or not. This may be an approach to provide some affordable variants that can appeal to students and the like while offering higher-performance configurations for those who can afford them. Dell would have to maintain at least one Thunderbolt 3 connection on all computers of the series in order to allow users to “pep up” the graphics with an external graphics module. In the same context, they could easily offer one or more of these external graphics modules as an optional accessory for these systems. As Dell evolves the XPS 13 series, they could easily consider supplying a 512Gb SSD as an integrated storage option for some of the configurations. 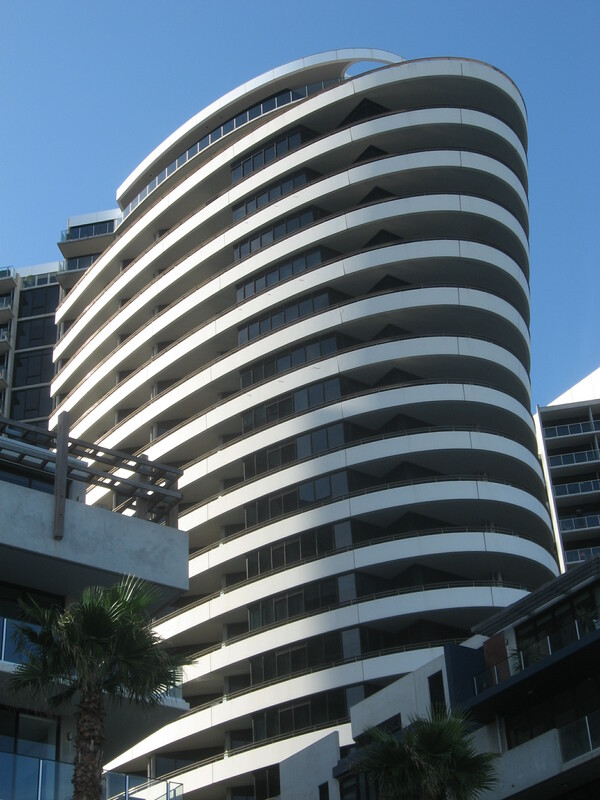 This would be at the time that this capacity becomes affordable to specify for the same physical size. It could then make the XPS 13 Ultrabooks earn their keep as a sole computing device. Similarly, they could offer a touchscreen with a 1920×1080 resolution as an intermediary display option so you are still able to stay with that resolution to conserve battery runtime yet benefit from touch-driven operation. 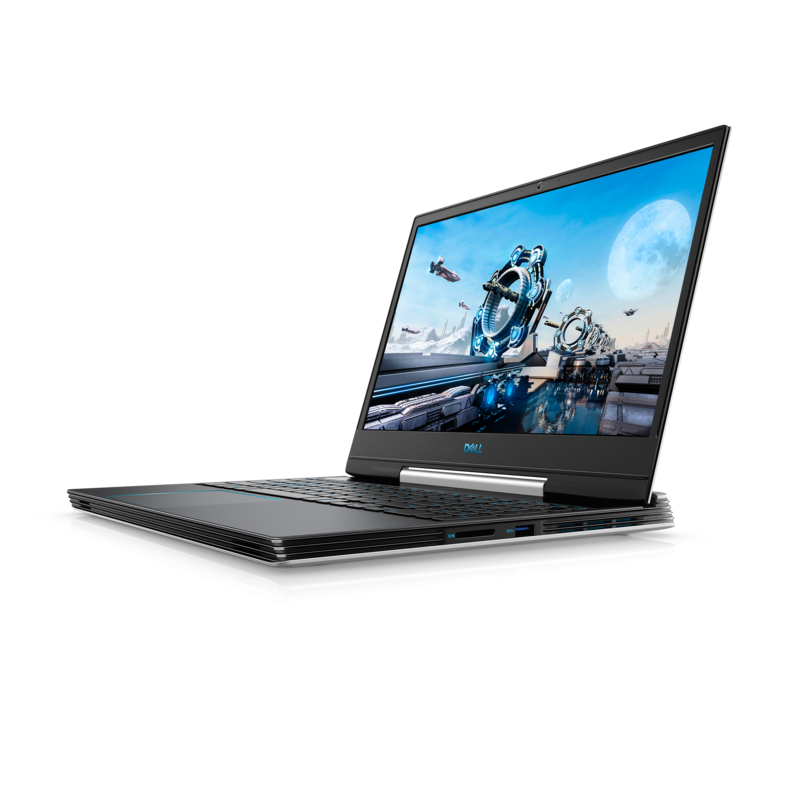 Dell is keeping the performance, functionality and quality to the same expectations for this generation of the XPS 13 Ultrabook as they have done for the previous generations of this Ultrabook dynasty. Personally I would see the 9360 Series of the XPS 13 as a machine for those of us who want more value for our money. In some cases, I would recommend even looking at variants with the prior-generation Intel processor for those of us who are on a budget yet want some performance out of these machines. During the heyday of the “good cars” that was represented through the 1960s and 1970s, the major vehicle builders worked on various ways to approach younger drivers who were after something that was special. 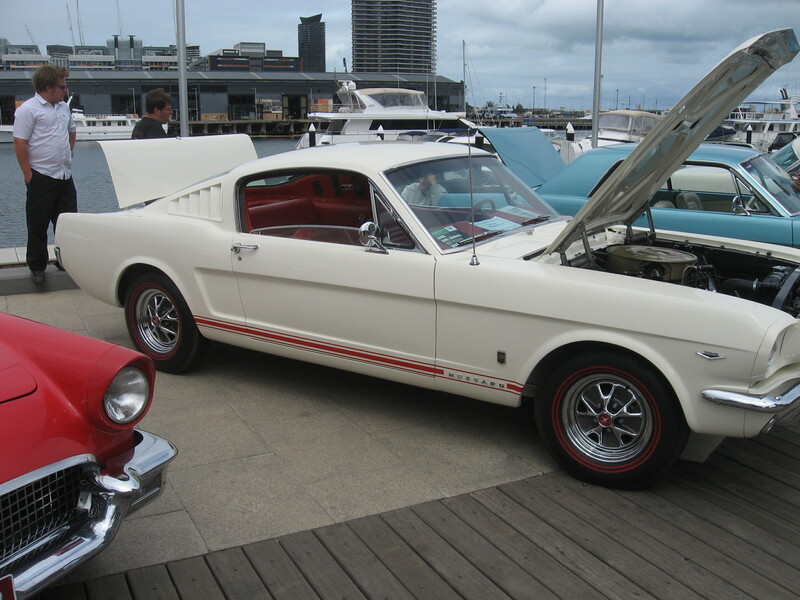 One of these was to offer a “pony car” which was a specifically-designed sporty-styled two-door car that had a wide range of power, trim and other options yet had a base model that was affordable to this class of buyer. Another was to place in to the product lineup for a standard family-car model a two-door coupe and / or a “sports sedan” / “sports saloon” that is a derivative of that standard family car and built on that same chassis but known under an exciting name with examples being the Holden Monaro or the Plymouth Duster. This would be available as something that young people could want to have when they are after something impressive. Both these approaches were made feasible through the use of commonly-produced parts rather than special parts for most of the variants or option classes. As well, there was the option for vehicle builders to run with variants that are a bit more special such as racing-homologation specials as well as providing “up-sell” options for customers to vary their cars with. The various laptop computer manufacturers are trying to work on a product class that can emulate what was achieved with these cars. Here, it is to achieve a range of affordable high-performance computers that can appeal to young buyers who want to play the latest “enthusiast-grade” games on. 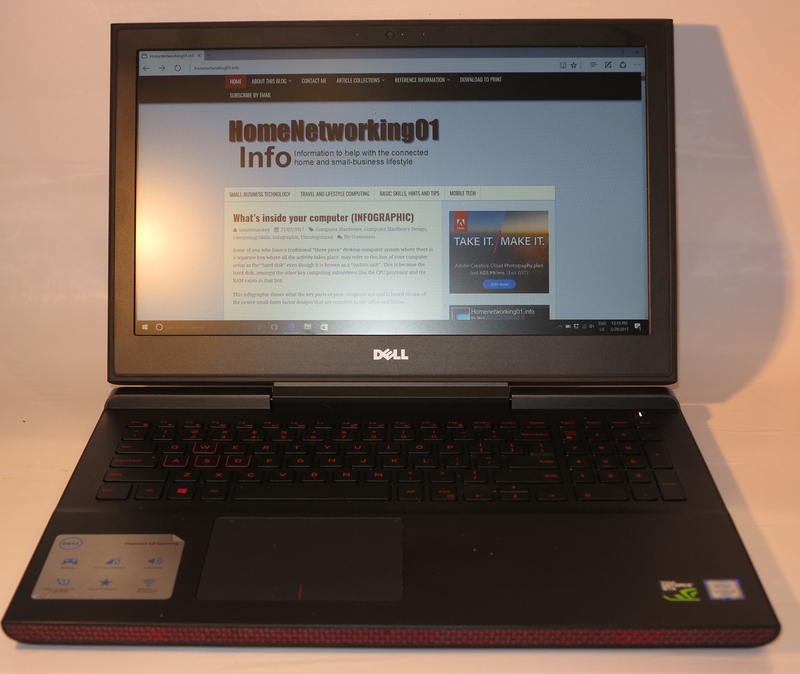 One of the steps that has taken place was to offer a high-performance “gaming-grade” variant of a standard laptop model like the Dell Inspiron 15 Gaming laptop, one of which I had reviewed. This approach is similar to offering the “Sport” or “GT” variant of a common family-car model, where the vehicle is equipped with a performance-tuned powertrain like the Ford Falcon GT cars. But Dell have come very closer to the mark associated with either the “pony cars” or the sporty-styled vehicles derived from the standard family-car model with the release of the Inspiron G series of affordable gamer-grade laptops. Here, they released the G3, G5 and G7 models with baseline models being equipped with traditional hard disks and small RAM amounts. But these were built on a very similar construction to the affordable mainstream laptops. These models are intended to replace the Inspiron 15 Gaming series of performance laptops and it shows that they want to cater to the young gamers who may not afford the high-end gaming-focused models. As well, the G Series name tag is intended to replace the Inspiron nametag due to its association with Dell’s mainstream consumer laptop products which takes the “thunder” out of owning a special product. This is similar to the situation I called out earlier with sporty vehicles that are derivatives of family-car models having their own nameplate. 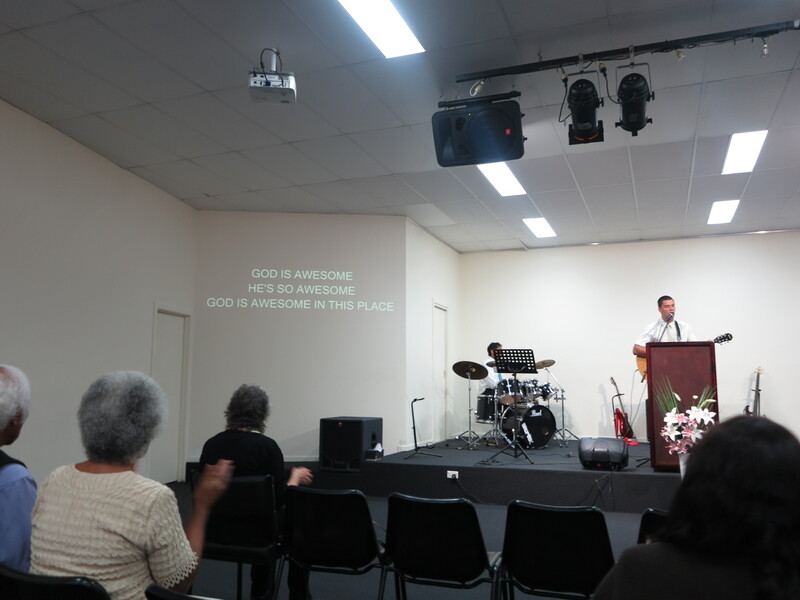 The G3, which is considered the entry-level model, comes with a 15” or a 17” Full-HD screen and is available in a black or blue finish with the 15” model also available in white. It also has a standard USB-C connection with Thunderbolt 3 as an extra-cost “upsell” option along with Bluetooth 5 connectivity. This computer is the thinnest of the series but doesn’t have as much ventilation as the others. The G5 which is the step-up model, is a thicker unit with rear-facing ventilation and is finished in black or red. This, like the G7 is equipped with Thunderbolt 3 for an external graphics module along with Bluetooth 4 and has the ability for one to buy a fingerprint scanner as an option. Also it comes only with a 15” screen available in 4K or Full HD resolution. The G7 is the top-shelf model totally optimised for performance. This is a thicker unit with increased ventilation and implements high-clocked CPU and RAM that is tuned for performance. 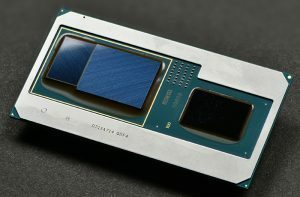 It has similar connectivity to the G5 along with similar display technology and is the only computer in the lineup to implement the highly-powerful Intel Core i9 CPU that was launched as the high-performance laptop CPU as part of the latest Coffee Lake lineup. All the computers will be implementing the latest Coffee Lake lineup of Intel high-performance Core CPUs, being the Core i5-8300HQ or Core i7-8750H processors depending on the specification. In the case of the high-performance G7, the Intel Core i9-8950HQ CPU will be offered as an option for high performance. They all use standalone NVIDIA graphics processors to paint the picture on the display with a choice between the GeForce GTX1060 with Max-Q, the GeForce GTX1050Ti or the GeForce GTX1050. What is interesting about the GeForce GTX1060 with Max-Q is that it is designed to run with reduced power consumption and thermal output, thus allowing it to run cool in slim notebooks and do away with fans. But the limitation here is that the computer doesn’t have the same kind of graphics performance compared to a fully-fledged GeForce GTX1060 setup which would be deployed in the larger gaming laptops. Lower-tier packages will run with mechanical hard drives while the better packages will offer use of hybrid hard disks (increased solid-state cache), solid-state drives or dual-drive setups with the system drive (C drive with operating system) being a solid-state device and data being held on a 1Tb hard disk known as the D drive. I would see these machines serving as a high-performance solo computer for people like college / university students who want to work with high-end games or put their foot in to advanced graphics work. As well, I wouldn’t put it past Lenovo, HP and others to run with budget-priced high-performance gaming laptops in order to compete with Dell in courting this market segment. Should I buy a laptop with integral mobile-broadband modem? A trend that will be affecting portable computers will be the rise of laptops and notebooks that are equipped with an integrated mobile-broadband modem. Previously this was a feature associated with premium business-grade laptops as an extra-cost option, but this is being encouraged as a product differentiator for a larger range of portable computers targeted at consumers and small businesses. 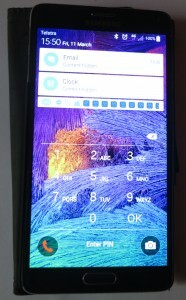 The key feature callout will be that the computer is equipped with LTE connectivity and this feature has been brought along thanks to Windows 10 and the “Always Connected PC” vision. 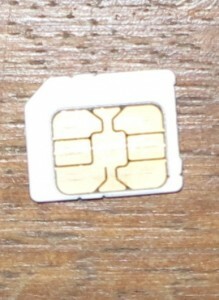 Initially such computers will authenticate to the mobile network with a standard SIM card installed in a reader somewhere on the computer’s chassis. But newer designs will move towards an eSIM module integrated in the computer which provides for “over-the-air” provisioning by the telco or their agent. There is the feasibility of a secure connection anywhere within reach of mobile networks. It is something you may not benefit from when using a lot of legacy-configured public-access Wi-Fi networks. As well, you avoid the need to set up Wi-Fi or USB tethering on your smartphone or tablet, or to use a “Mi-Fi” mobile-broadband router. Similarly, you shouldn’t need to worry about draining your battery in your “Mi-Fi” router or smartphone to keep the connection alive. You also benefit from a faster link between the modem and the computer which is important for setups implementing LTE, because a lot of USB mobile-broadband modems don’t implement the newer variants of the USB standard. There is also the fact that an integral mobile-broadband modem design allows for a larger mobile-broadband antenna to be integrated in the laptop computer, rather than having to design a small mobile-broadband antenna to keep a relatively-compact product design for that “Mi-Fi”, USB modem stick or smartphone. The laptop’s battery shouldn’t be affected in this case thanks to Windows 10 implementing “data-saver” and battery-management logic. There is also the fact that Windows 10 will implement a class driver and authentication software within the operating system’s code so you don’t need to run any extra software to get on board with mobile broadband. One of these is that the host computer may be fixed with the “current” technology and may not be able to take advantages of newer technologies or wavebands that the telco you subscribe to offers. This can be an issue with the pending 5G mobile-broadband standards or Australian telcos like Telstra exploiting lower wavebands in the mobile spectrum with the goal to assure greater coverage in Australia’s larger rural areas but yield high data throughput. But if the mobile-broadband modem operates on a “software-defined” approach where it can work with extra subsequently-available firmware that can adapt to these situations, it may not be an issue. Another factor is the integrated-modem approach may not work properly in some usage scenarios where you have a strong signal in certain areas but a weak signal in other areas. This can be of concern for those of us who want to use our computing equipment in a post-1950s caravan or a campervan / motorhome with the vehicle’s housing being predominantly metal which can reduce radio throughput. In these situations, you may have to use a USB modem on a long USB cable run or use a “Mi-Fi” router with some situations calling for the “two-piece” approach put forward by Solwise. Another situation you may need to think of is whether you are intending to use multiple mobile devices on the road with the one mobile-hroadband service. 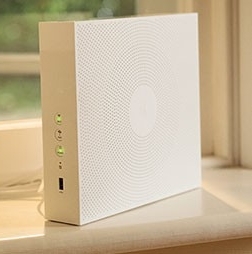 Here, you may find that a “Mi-Fi” router set up as the hub of a mobile local-area network may be a better answer to your needs. This is more so if you are running many devices like mobile NAS units, Wi-Fi-capable mobile printers or Wi-Fi-capable digital cameras along with tablets that may not be equipped with mobile broadband. Of course you will need to use a pre-paid or post-paid mobile broadband service that is provisioned in a manner compatible with your computer. In these cases, such services would be offered as a “SIM-only” or “existing-device” package where you aren’t buying a device under any form of subsidy. 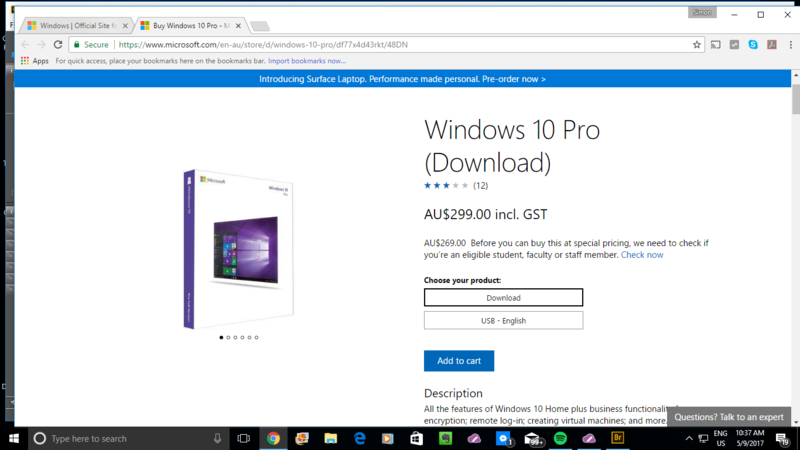 Telcos can easily answer this through the provision of starter prepaid plans offered as part of the package when you buy your computer or by allowing the Windows Store that is part of Windows 10 to work as their agent. Of course you can front up to their bricks-and-mortar outlet to buy a “SIM-only” or “existing-device” prepaid plan for your computer. On the other hand, most of the telcos will allow you to annex your new integrated modem to your post-paid mobile plan. This will be an important approach for those telcos who are offering a “shared-data” or “family” plan or underscore value for money with these plans. You may have to be sure that your mobile-broadband-equipped laptop is able to connect with the mobile-broadband service that you want to use. Firstly you will have to pay attention to whatever SIM type your computer uses for authentication to the service that you choose. That will be the kind of information you will have to supply to your mobile-broadband carrier when you are buying mobile-broadband service, or wish to buy other mobile-broadband devices which are “SIM-compatible” with your laptop with a view to moving our service amongst these devices. As well, you would need to make sure your laptop does work “across the board” with all of the mobile-broadband services that you intend to yous. For example, if you wish to use a service like Telstra that prides itself on extensive coverage in rural areas, you may need to be sure that the mobile broadband modem can cover the lower ends of the spectrum used by this carrier. Another example would be to use it in a range of countries which work on different mobile-broadband frequencies. People who run a post-paid mobile account should look towards being able to annex the data service used by the laptop’s integrated modem with their account. This can assure them of “many eggs in one basket” with the advantages such as paying through one bill and benefiting from deals that exploit this fact. 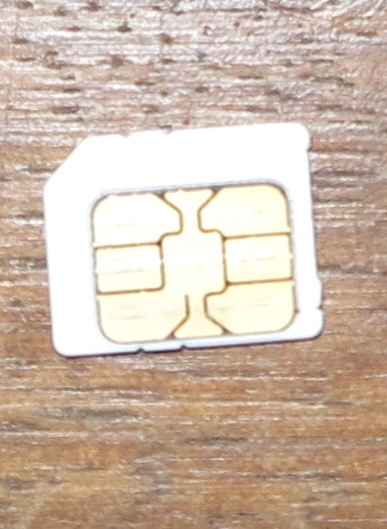 As well, some providers may operate a deal with multiple SIMs for one number and underscore this for eSIM setups. Here, it depends on your needs whether paying the extra expense for a laptop configuration with an integral mobile-broadband modem is worth it for you. A common frustration that we all face when we play video games on a laptop, tablet or smartphone is that these devices run out of battery power after a relatively short amount of playing time. It doesn’t matter whether we use a mobile-optimised graphics infrastructure like what the iPad or our smartphones are equipped with, or a desktop-grade graphics infrastructure like the discrete or integrated graphics chipsets that laptops are kitted out with. What typically happens in gameplay is that the graphics infrastructure paints multiple frames to create the illusion of movement. 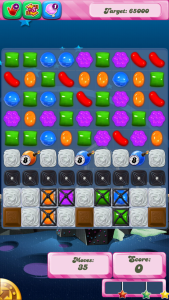 But most games tend to show static images for a long time, usually while we are planning the next move in the game. In a lot of cases, some of these situations may use a relatively small area where animation takes place be it to show a move taking place or to show a “barberpole” animation which is a looping animation that exists for effect when no activity takes place. Microsoft is working on an approach for “painting” the interaction screens in a game so as to avoid the CPU and graphics infrastructure devoting too much effort towards this task. This is a goal to allow a game to be played without consuming too much power and takes advantage of human visual perception for scaling frames needed to make an animation. There is also the concept of predictability for interpreting subsequent animations. But a lot of the theory behind the research is very similar to how most video-compression codecs and techniques work. Here, these codecs use a “base” frame that acts as a reference and data that describes the animation that takes place relative to that base frame. Then during playback or reception, the software reconstructs the subsequent frames to make the animations that we see. The research is mainly about an energy-efficient approach to measuring these perceptual differences during interactive gameplay based on the luminance component of a video image. Here, the luminance component of a video image would be equivalent to what you would have seen on a black-and-white TV. This therefore can be assessed without needing to place heavy power demands on the computer’s processing infrastructure. The knowledge can then be used for designing graphics-handling software for games that are to be played on battery-powered devices, or to allow a “dual-power” approach for Windows, MacOS and Linux games. This is where a game can show a detailed animation with high performance on a laptop connected to AC power but allow it not to show that detailed animation while the computer is on battery power. 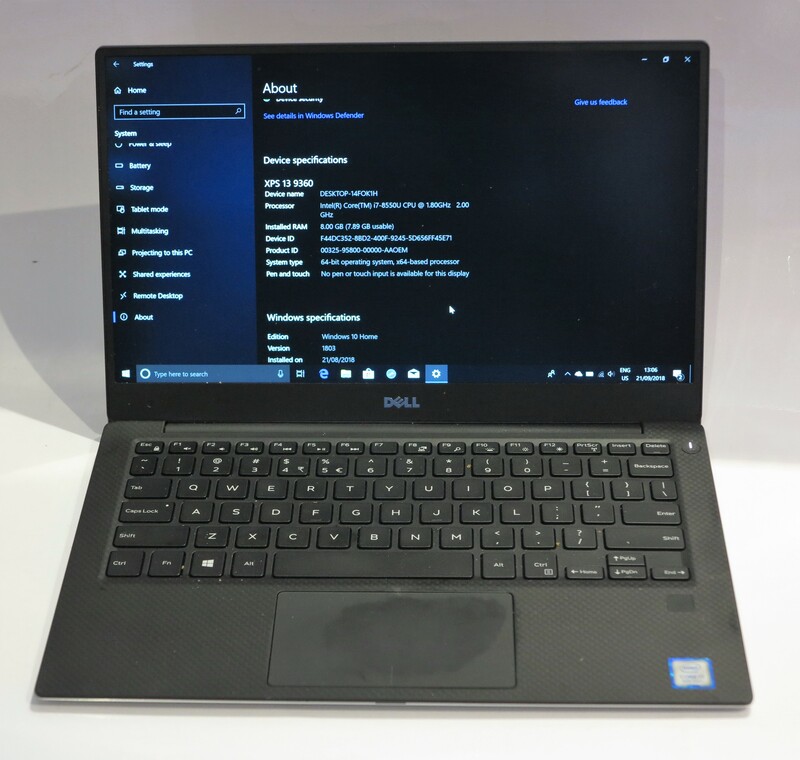 Dell used the Consumer Electronics Show 2018 to premiere a 15” ultraportable 2-in-1 convertible laptop that underscores what Intel’s new G-series CPU / GPU combination chips are about. This laptop, which is the smallest thinnest 15” portable, comes in with a thickness of 16mm when either closed or folded over as a tablet. This is brought about due to the implementation of the single-die chip which has the Intel 8th Generation Core CPU and an AMD Radeon RX Vega M GL graphics processor with 4Gb of display memory to “paint” with. The computer press see this setup being equivalent to an NVIDIA GeForce GTX 1050 dedicated GPU. It is allowing Dell to pitch the XPS 15 2-in-1 as an “enthusiast-grade” lightweight 2-in-1 laptop with the kind of performance that would please people who are into multimedia and animation work or want to play most of the newer games. Another influence is the use of a “maglev” keyboard which uses magnets to provide the tactile equivalent of a keyboard with a deeper throw. But this allows also for a slim computer design. The new Dell XPS 15 2-in-1 computer can be configured with an Intel Core i5 as the baseline option or an Intel Core i7 as the performance option. The touchscreen can be a Full HD display as a baseline option or a 4K UltraHD display with the 100% Adobe colour gamut for the premium option. The RAM available ex-factory can range between 8Gb to 16Gb while the storage capacity that is available ex-factory ranges from 128Gb to 1Tb on a solid-state drive. Personally, I would like to see the minimum storage capacity available being 256Gb. 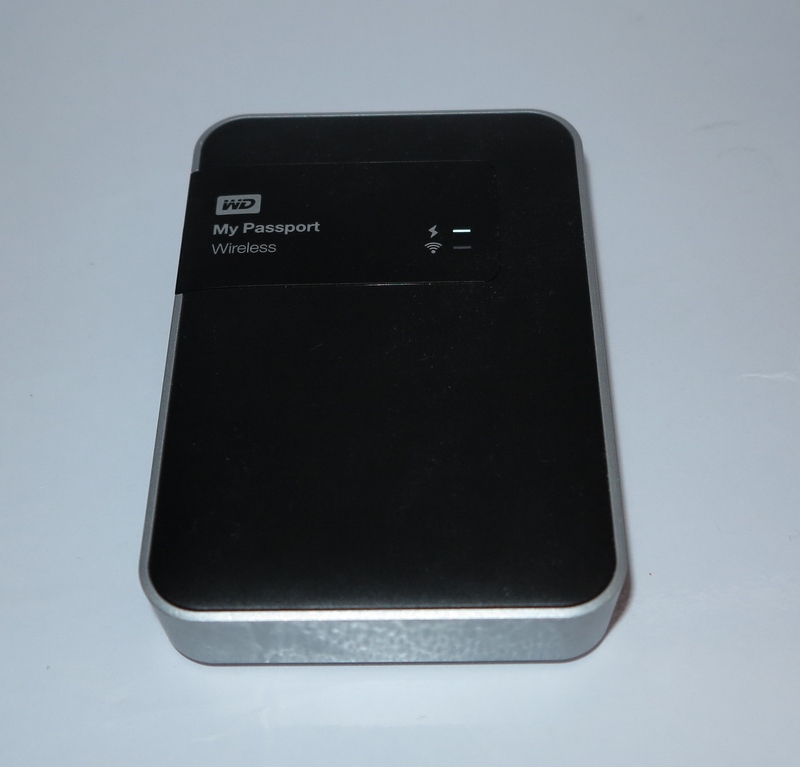 The only removable storage option integrated in this computer is a microSD card slot, which may require you to use a microSD card and SD card adaptor in your camera or carry a USB-C SD card reader for your digital camera’s SD memory card. The connectivity options for this computer come in the form of 2 Thunderbolt 3 and 2 standard USB-C sockets. These all support USB Power Delivery which means that they serve as a power input from the laptop’s charger, along with PowerShare “sleep and charge” and DisplayPort alt mode. The fact that this laptop has Thunderbolt 3 connectivity means that it could be connected to better-performing graphics processors installed in external graphics modules and can even lead towards “workstation-grade” graphics once teamed with a “card-cage” graphics module that is kitted out with an NVIDIA Quadro workstation graphics card. The baseline price for this model intended to be available in the USA in April is expected to be US$1299. 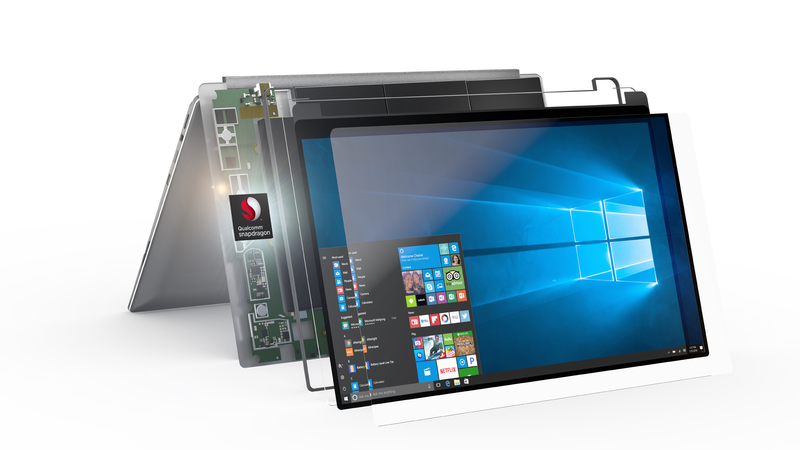 Personally I would see the Intel CPU/GPU chipset preparing the path for a slow return of the “multimedia laptop” but in a lightweight manner and with a larger battery.